Are you having a problem with your electrical systems? Do you want a new fire alarm installed in your Christchurch commercial property? Look no further than Merrivale Electrical today for an all-in-one commercial electrical Christchurch service. All jobs will be fulfilled by our trained and experienced electricians who will complete all services to the highest standards. The above list is only a brief summary of our services, and we provide a wide range of services as part of our commercial electrical contractors in Christchurch offerings. If you require a service that has not been listed, please contact our team today for more details. No job is too big or small for our team at Merrivale Electrical, and we will fulfill every job with the same attention and care. 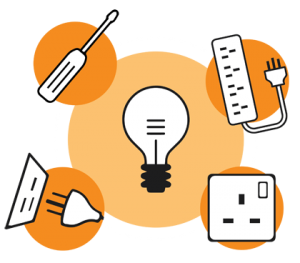 All jobs will be attended by our expert and qualified electricians who will work hard to ensure that the electrics in your commercial building is fit for purpose. At Merrivale Electrical, we are 100% committed to providing our customers with comprehensive commercial electrical contractors in Christchurch service. As testament to the quality of our services, Merrivale Electrical is an NICEIC Approved Contractor, and we have also been approved by Check-a-trade. We advise our customers to look at reviews from our previous customers regarding our electrical contractor works. In addition, we are also Part P registered. We consider all jobs at Merrivale Electrical, no matter how big or small and you can be certain that our team of trained and experienced electricians will work hard to provide you with a superb service. So you can expect every job from electrical installations to testing or fire alarm systems to be completed to the highest standards. Contact Merrivale Electrical today for more information on our commercial electrical contractors in Christchurch.